Do you know about RFID chips and how many you are carrying at this moment? Today, RFID chips are built-in all sorts of items, including your credit cards, travel swipe cards, library books, grocery store cards, security tags, implanted medical records, passports and even the access cards provided by companies. But, What actually is an RFID chip? Radio frequency identification (RFID) is a small electronic device consisting of a chip on which data can be encoded, and an antenna used to transmit that data. It is typically used for short-distance communication of information. However, there is concern that these RFID chips could easily be hacked, and the information on these chips could easily be stolen by hackers. After all, they don't even require physical access to these chips in order to get data from it. Researchers at MIT have developed a new way that prevents RFID chips from hacking. 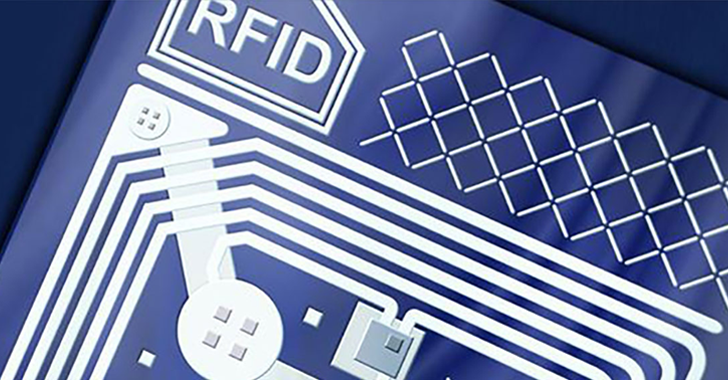 Although the information on RFID chip is protected with a secret cryptographic key that could thwart a casual data thief, skilled RFID hackers have repeatedly used "Side Channel Attacks" to steal information from these chips easily. The 'side-channel attacks' are designed to extract the secret cryptographic key from a system by analyzing the pattern of memory utilization or fluctuations in power usage. However, side-channel attacks only leak a little amount of information for each repetition of a cryptographic algorithm, so a hacker need to run the attack many numbers of times to get a complete secret key. One way to prevent side channel attacks is to rotate the private key frequently after each transaction with the help of a random-number generator, but a skilled hacker can overcome this with a so-called "Power Glitch Attack." Repeatedly cutting the RFID chip's power just before it changes the secret cryptographic key is known as power glitch attack. By using this method, hackers can render the above strategy ineffective and run the same side-channel attack thousands of times, with the same key, in order to get the pattern and fetch the information from the RFID chip. The new RFID chip developed by MIT researchers and manufactured by Texas Instruments is designed to block power glitch attacks, which is virtually impossible to hack by any current means, researchers claimed. An on-board power supply that is "virtually impossible to cut." Non-volatile memory cells that store computations the chip is working on, even if there's a power cut. This results in resuming of computation once the power gets restored. "If that computation was an update of the secret key, it would complete the update before responding to a query from the scanner," the researchers wrote in a press release. "Power-glitch attacks won't work." To achieve this, the new chip takes advantage of a material called Ferroelectric crystals that consist of molecules arranged into a lattice form where positive and negative charges naturally separate. These ferroelectric crystals can operate as a capacitor for storing power, producing computer memory that retains data even when powered off. The research team claims that if this high-security RFID chip hits mainstream adoption, it could help prevent contactless card details from being stolen, potentially preventing credit card frauds. However, nothing is unhackable today, so calling something "hack-proof" or "virtually impossible to hack" doesn't make sense. As hackers nowadays are so skilled that even devices that are designed on the top of security features aren't immune to hacks. However, new technologies, like this RFID chip, that take the security of users to the next level are always a good idea and importantly required to secure the world.